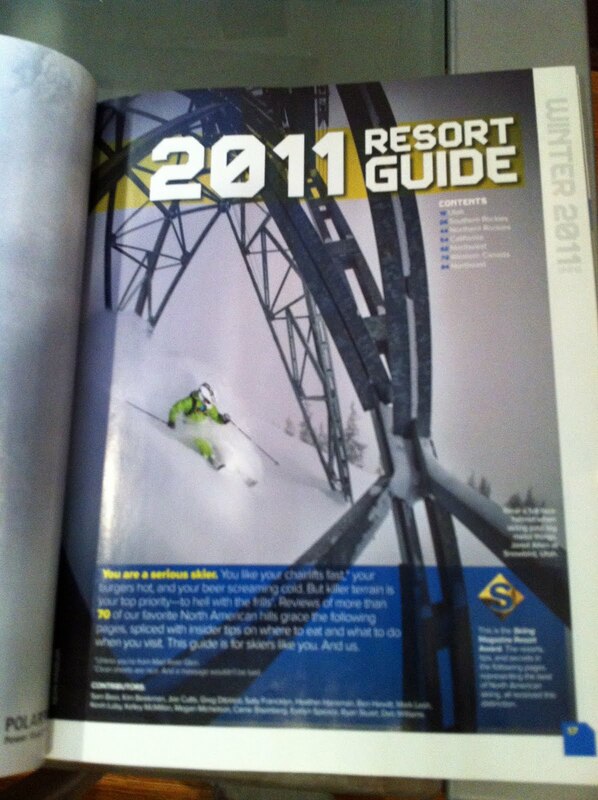 This one is from Mountain Sport and Living. 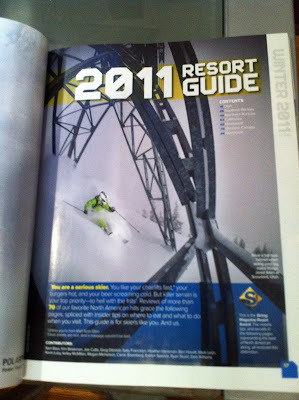 The shot was taken at Snowbasin. This little zone always has really interesting light and rarely gets skied. Not the best for sustained vert, but a really good area for shooting. Here's a piece I recently finished. It's an 8 pane window that was part of a door. As most of my "canvases" it came from a property we bought and restored. The piece was done using paint, stain and markers on the front side of the glass. There was also paint and excerpts from a 60's era maturation textbook used on the back side of the glass. 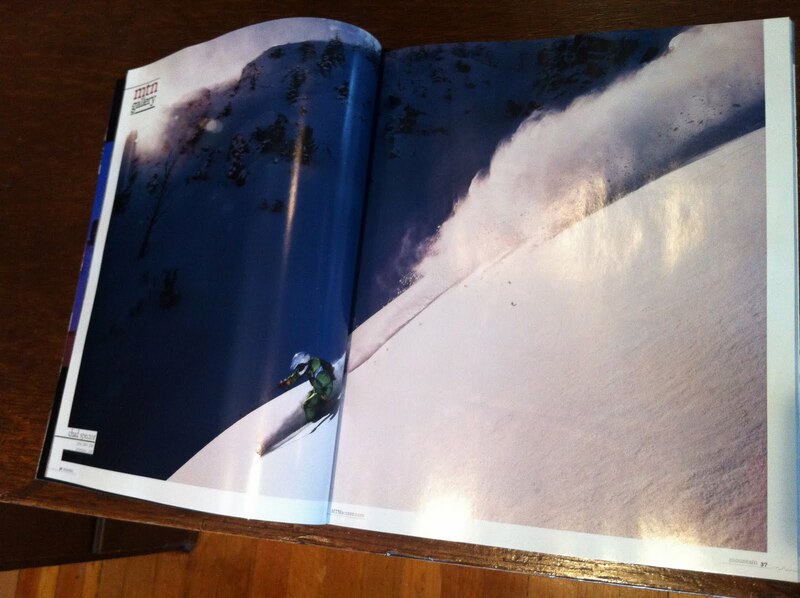 Here's a shot that's running in the current issue of Skiing magazine. This shot was taken at Snowbird by Kevin Winzeler. It was a rough day for shooting in terms of light and visibility, but the bold metal of the tram tower provided enough contrast and interest to come away from the day with a great shot.